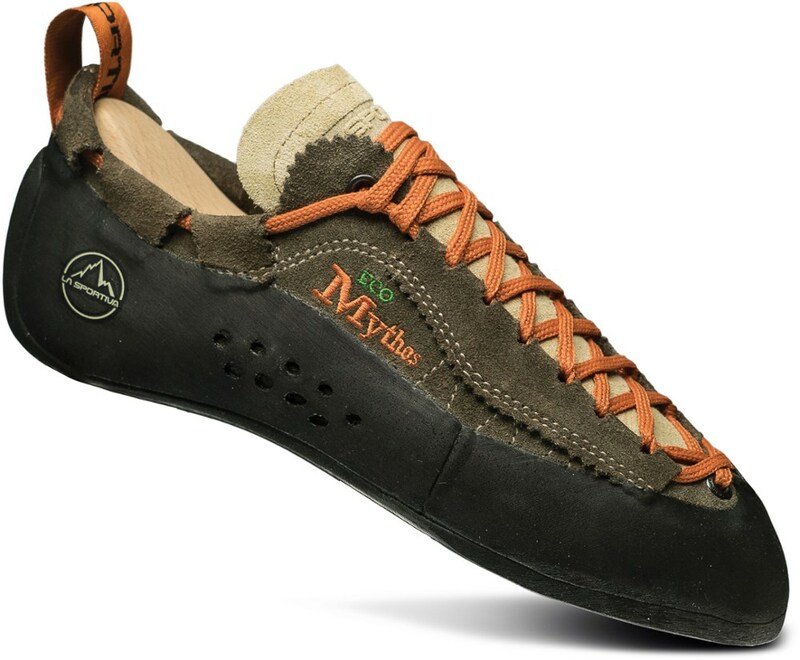 The Mythos Eco is a great all-day climbing shoe that has been redesigned, using 95 percent recycled materials, without compromising quality and function. 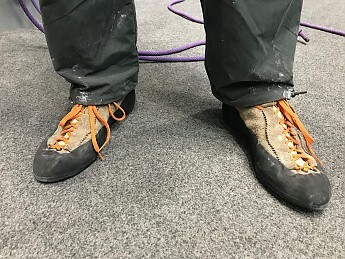 This product is designed for both indoor and outdoor use, and has superior comfort for all day use, whether working on projects in the gym, or long multi-pitch routes. 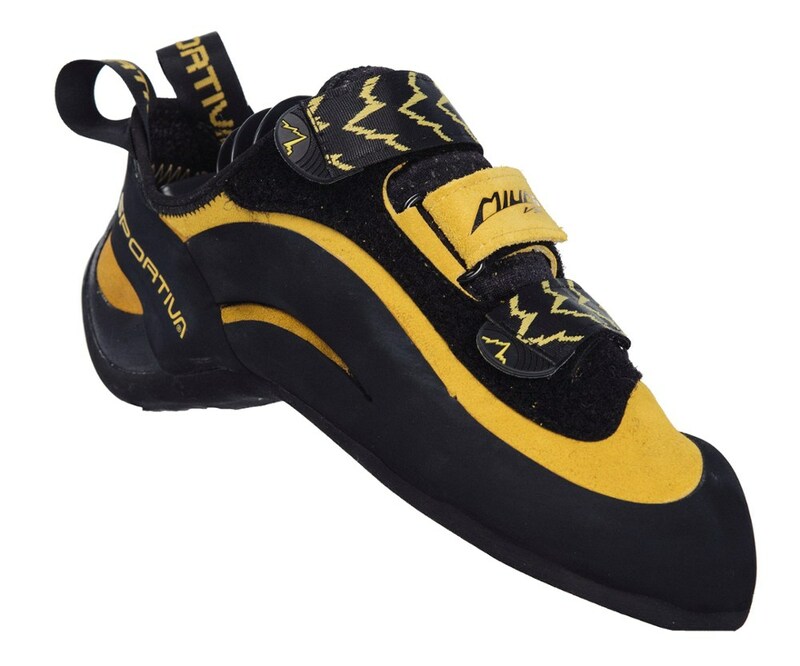 After 25 years of being a climber’s favorite, Las Sportiva has announced a re-edition of their classic shoe. The Mythos Eco looks nearly identical as its predecessor, however boasts a 95% recycled build. Virtually every aspect of the Mythos Eco is the same as the most recent Mythos shoe, and the quality of the highly recycled product has not suffered. The product tester is primarily an indoor climber at the beginner/intermediate level, aspiring to become an outdoor climber. 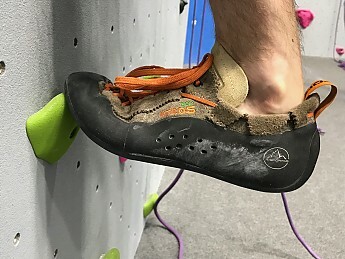 The Mythos Eco has been tested mostly for top rope and lead climbing, with a bit of bouldering sprinkled in. 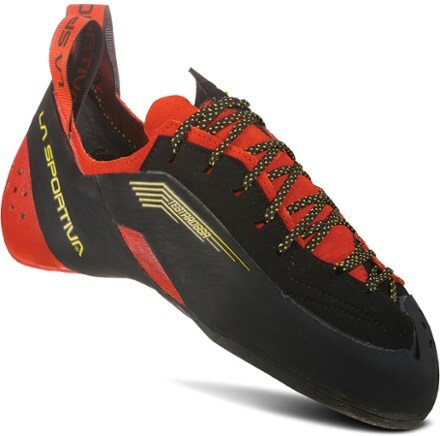 La Sportiva has been handcrafting handmade products for the outdoor enthusiast since 1929, based out of northern Italy. The Mythos Eco was awarded a Root Award from REI for its sustainable design. Note: The regular Mythos shoe is still available, priced at $140. 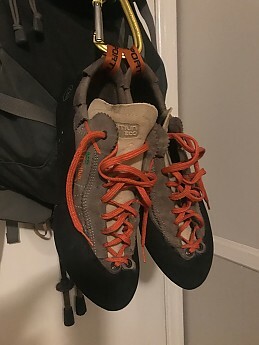 Break-In: Initial break-in was a slight surprise, but these climbing shoes became very comfortable after approximately six sessions of gym climbing. Beyond this point, the Mythos Eco became a shoe that could stay on for hours, without the need to be removed. 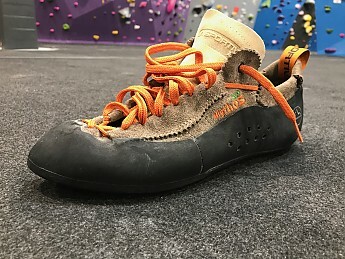 The Mythos is known for being one of most comfortable climbing shoes made, however testing showed the shoes need break-in time! Part of the shoe’s comfort has to do with an overall neutral sole, the other being a very soft leather that molds to the wearer once broken in. 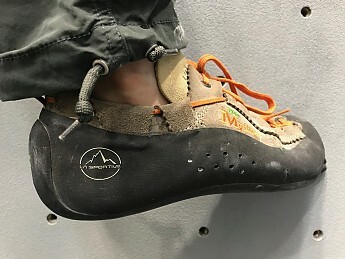 Fit: Generally speaking, La Sportiva climbing shoes are known to fit "true to size," however the Mythos Eco tested seemed to fit a little larger than expected. Wearing a 10.5-11 street shoe, the 44 Mythos Eco initially fit with a small amount of free room. With a high arch and narrow foot, the possible fit concern quickly dissolved once the shoe broke in. Additional adjustments to the lacing system brought a glove-like fit. Overall volume in the shoe feels normal, without free play in the heel, or toe box. The lacing system of the Mythos has both pros and cons. The seemingly limitless fine-tuning allows the wearer to find great precision, but at a cost, Taking the time to learn how to perform these adjustments ultimately is well worth the effort. The lacing system wraps from behind the heel, then down over the top of the foot, creating the cross-portion of the lace. This torques the lace, allowing the wearer to individually set then tension up and down the foot. 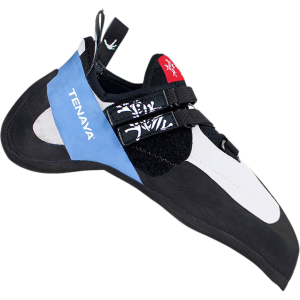 The sole has tested to be very good, showing above average edging and ability performing toe/heel hooks. Considering the neutral sole, edging can be done confidently. 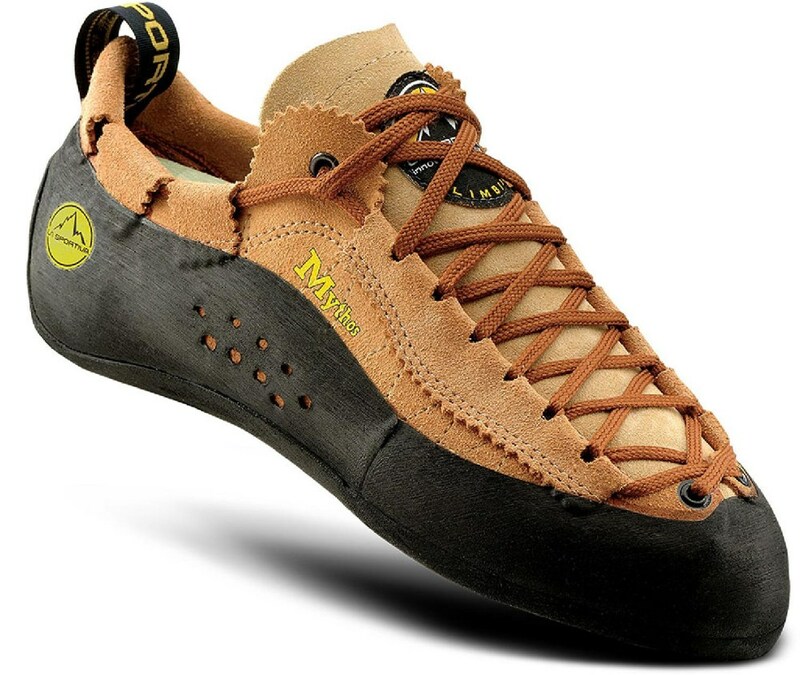 Maneuvers like smearing and crack climbing were found to be average; these aren’t the most tacky climbing shoes. Frequent cleaning has been necessary to prevent slipping; proper care must be made to make sure that the rubber is clean in order to perform. It is also critical to store climbing shoes where it doesn’t get too hot, nor cold, in order to avoid damage. Considering the Mythos Eco is manufactured from 95 percent recycled materials, this shoe is top-notch construction. No durability concerns have been noted during the approximate six months of testing. 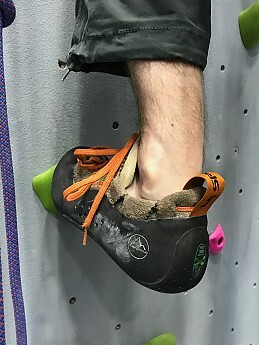 It should be stated that this is not an appropriate amount of time to judge the overall lifespan of climbing shoes. 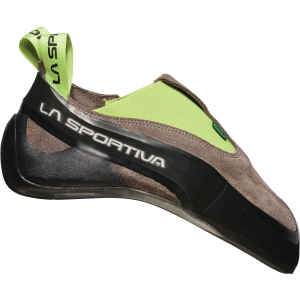 Construction: Per La Sportiva, "95% of components come from recycled materials (soles, laces, webbing, tongue padding) and contribute to a reduced environmental impact (metal-free tanning, biodegradable leather, water-based adhesives). 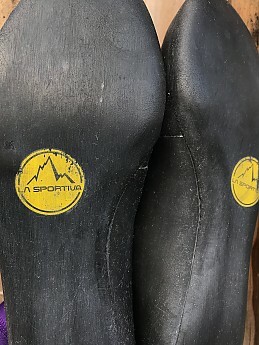 La Sportiva Eco rubber outsole obtained by recycling rubber used during the production process at the La Sportiva factory with no sacrifice in performance." The regular Mythos model appears to be identical outside of its mostly recycled nature, and color choice. 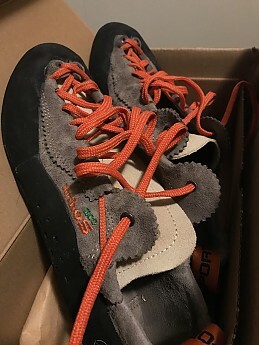 The La Sportiva Mythos Eco has been tested from summer to early winter, 2018 indoors. A combination of bouldering, top rope, and lead climbing has been the upper limits of the tester’s capability; hopefully a more dry year will allow for future outdoor testing. 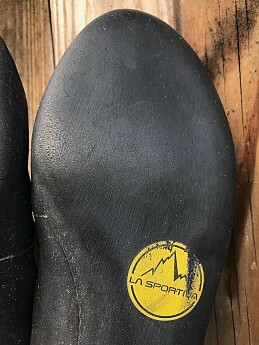 Many thanks to the people at La Sportiva for the opportunity to test the Mythos Eco for the Trailspace Gear Review Corps. The product tester has been climbing on a beginner to intermediate level for approximately three years. 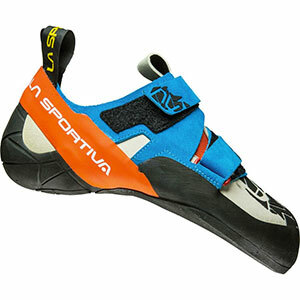 Other climbing shoe brands that have been tested are Evolv and Scarpa. 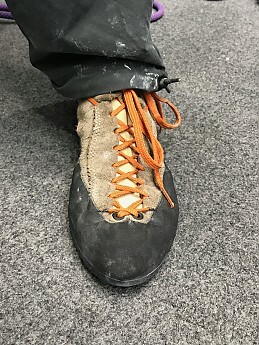 This product has been tested in several indoor climbing gyms from summer to early winter 2018. 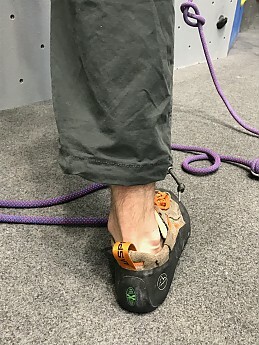 Types of climbing during testing: bouldering, top rope, sport lead. Hopefully 2019 will offer opportunities for outdoor climbing!